Ghana's President John Atta Evans Mills has died at the age of 68 after a short illness at the military hospital in Accra. 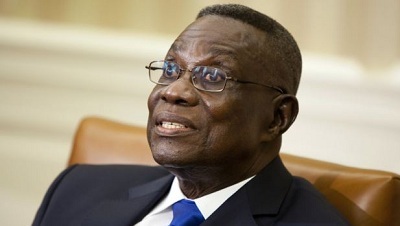 According to a statement from the office of the Presidency, President Atta Mills died a sudden and untimely death a few hours after falling ill. Vice President John Mahani Dramani will be sworn in as required by law. The President who died on Tuesday afternoon had just announced to parliament on how he was traveling to Nigeria. His death that brings back memories of Nigeria's Yar' Adua makes him the first Ghanaian president to die while in office.